Local Trust - Residents in control: what does it mean? Residents in control: what does it mean? 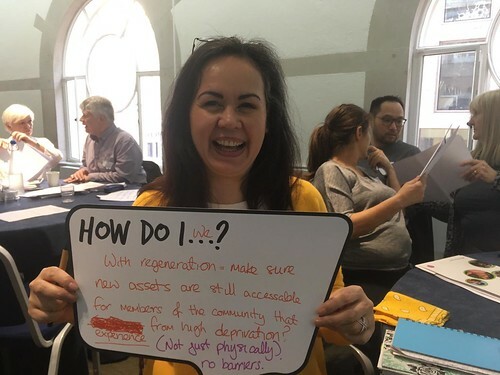 In the first of a series of blogs about residents’ experiences of Big Local, Jeremy Yung asks, do residents feel they are leading Big Local in their area, and what does ‘leading’ really mean for them? One of the core principles of the Big Local programme is putting residents in control. We believe residents have a capacity and desire to drive change, and can achieve lasting and positive results. Big Local partnerships are the groups of people who are guiding the overall direction of Big Local in their area. Residents make up the majority of people (67%) on Big Local partnerships. And when we look at those partnership members who can vote on decisions, this number is even higher with 80% of voters being residents. But what exactly does resident-led mean? Is it simply about a majority of residents on partnerships and who gets to vote? Let’s take a look at what Big Local partnership members said. We recently completed a survey of partnership members and found that most members agree that residents are ‘leading’ Big Local. A majority of partnership members also feel that Big Local gives residents more control over what happens in their area. But what about the influence of organisations and councils on partnerships? And how does this fit with the ‘resident-led’ approach? Can they become too influential on partnerships? Another Big Local partnership recently questioned the way they were making decisions because they felt it was not as ‘resident-led’ as they would have liked. The partnership had eight members, six of whom were residents, and they had decided that a simple majority was needed to pass decisions. But what if the residents split the vote – with three each? If this was the case, the votes from the two non-residents (who both represented local organisations) that would be decisive. The partnership felt this would lead to the views of residents not being adequately represented. They amended their rules so that a simple majority and a majority of residents was needed to pass a vote. There is no easy answer as to what is the right balance. While Big Local puts residents in the lead, we also know that the responsibility and work needed to deliver can, at times, be overwhelming. In fact, two out of five partnership members feel the pressure to deliver. Having representatives from various organisations on a partnership can help with this as they can provide skills, resources and knowledge that can help partnerships deliver on their promises to the community. More on this debate in my next blog. At Local Trust we try to provide the necessary support and skills to residents so they can take the lead in their Big Local area now and in the future. For example, we provide a range of learning and networking events and training that are free for residents in Big Local areas, including training on influencing local decision making. Our events and training are based on what residents, and our partners, tell us is needed and what they feel would be helpful. But what do you think? What else can we do to ensure that Big Local continues to put residents in the lead? Tell us about your experiences and challenges in your partnerships, and how Local Trust can support you better. Drop us an email or contact us on Facebook or Twitter using #BigLocal. Click to read Jeremy’s second, third, fourth and fifth blog in the series.